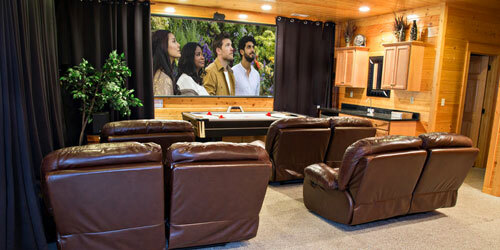 Experience the ultimate in luxury accommodations at The Cabin Rental Store. 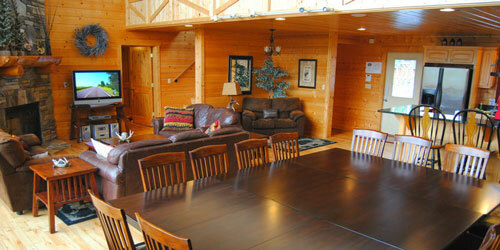 We offer exceptionally well appointed cabins ranging from 1 BR to 14 BR. Amenities include Heated Indoor/Outdoor Swimming Pools, Home Theaters, Arcade Games, Private Hot Tubs, Pool Tables, Elevators, & Panoramic Views. 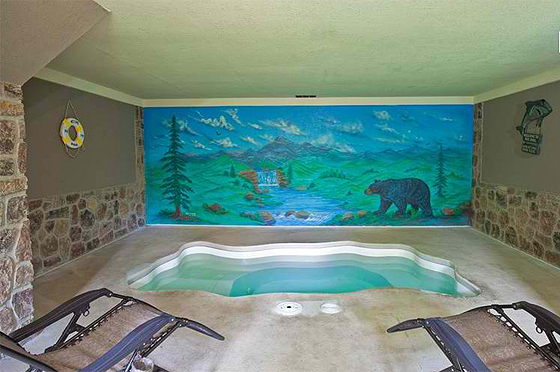 Perfect for Corporate Getaways, & Family Reunions. 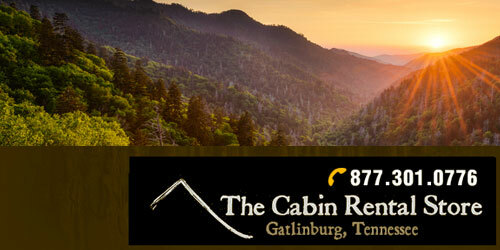 Each cabin is easily accessible conveniently located to many of the local Gatlinburg and Pigeon Forge attractions. 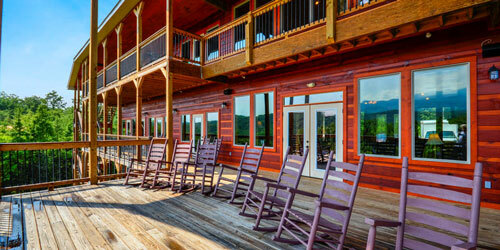 Cabin Details: Foxwood Mansion is a 14 bedroom luxury cabin, overlooking The Great Smoky Mountains. Awe-inspiring views & memorable times await you! 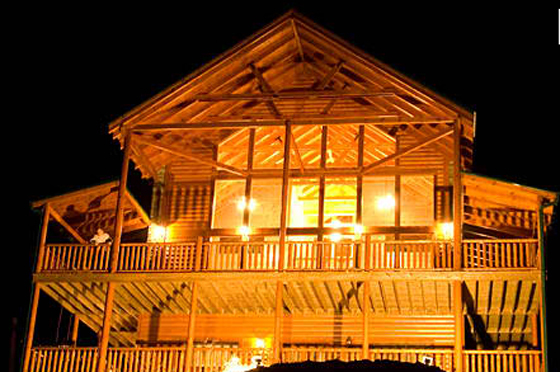 Providing the ultimate in casual elegance, fun & amenities. 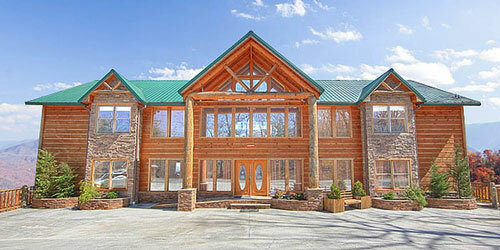 Cabin Details: Gatlinburg Mansion is a 14 bedroom luxury cabin, overlooking Mount Leconte. Awe-inspiring views & memorable times await you! 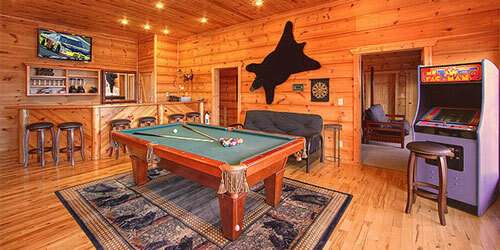 Providing the ultimate in casual elegance, fun & well thought-out amenities, this 3 story, lodge sleeps 44 people. 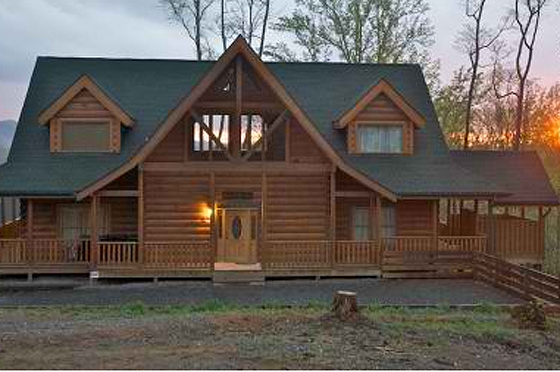 Cabin Details: Picture 2 Luxury 14 bedroom cabins, nestled side by side atop 10 acres of land, overlooking The Great Smoky Mountains. 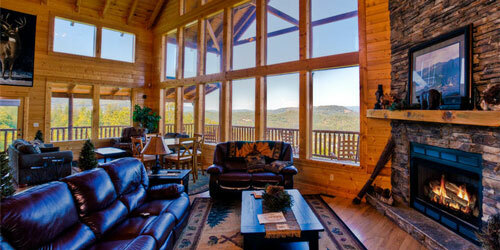 Awe-inspiring views & memorable times await you! 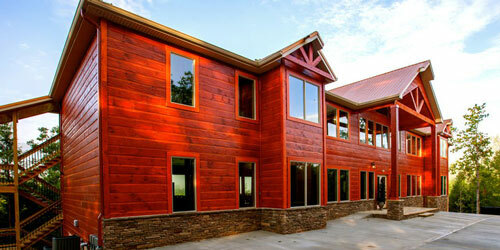 Providing the ultimate in casual elegance, fun & amenities, these 3 story mansions sleep up to 88 people. 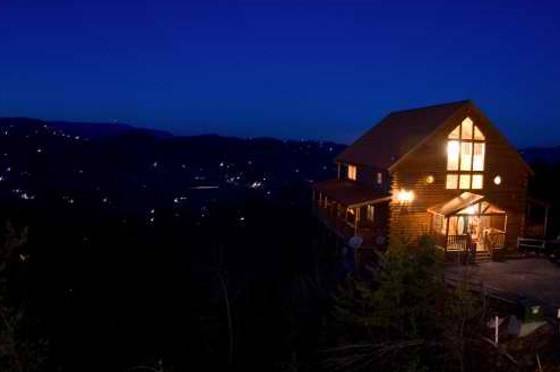 Cabin Details: Gatlinburg's Mansion In The Sky is a 10 bedroom luxury cabin, overlooking the Great Smoky Mountains, & downtown Gatlinburg. Awe-inspiring views & memorable times await you! Providing the ultimate in elegance, fun & amenities, this 3 story, 7200 sq. 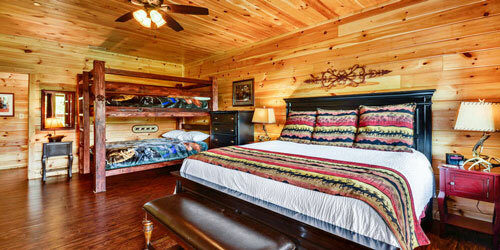 ft. lodge sleeps 34 people. 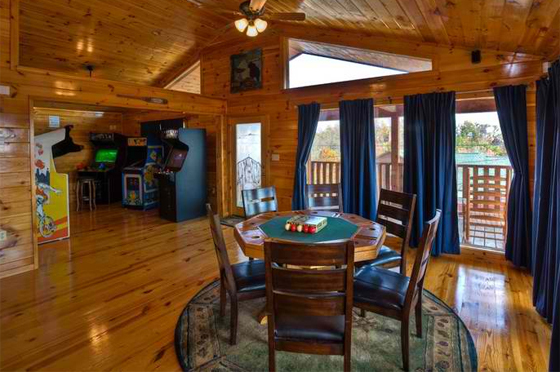 Cabin Details: Create memories to last a lifetime in our gorgeous 6 bedroom 6 bath luxury cabin, which offers everything you will need to have the vacation of a lifetime! 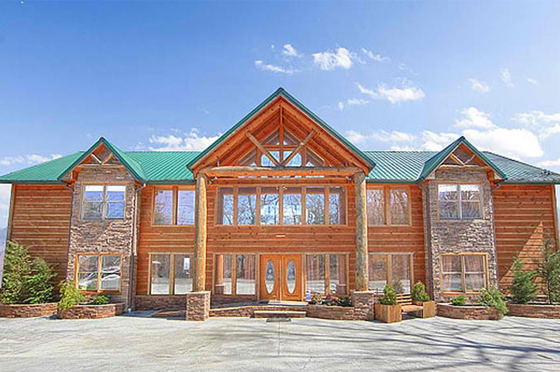 Gather with friends & loved ones in the warm, spacious living area, with its 30' windows, Gaze out at the panoramic views of Wears Valley, & The Great Smoky Mountains. 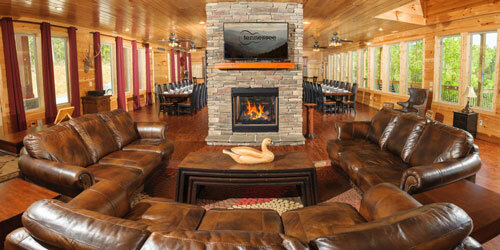 Cabin Details: Picture 2 World-Class, Luxury, 4 bedroom cabins, nestled side by side, atop a scenic mountain, which share an amazing Indoor/Outdoor Heated Swimming Pool, Pavilion, & awe-inspiring Views. 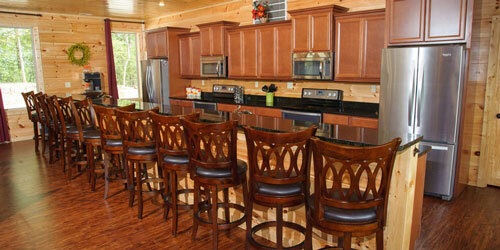 The floor plan of both of these elegant cabins is nearly identical. 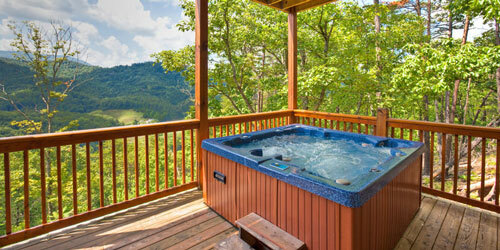 'Swimming in the Clouds' offers panoramic mountain views, & the perfect combination of Relaxation & Fun for everyone. 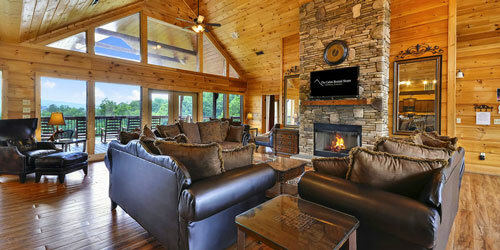 Cabin Details: Sycamore Mansion is a 14 bedroom luxury cabin, overlooking Mount Leconte. 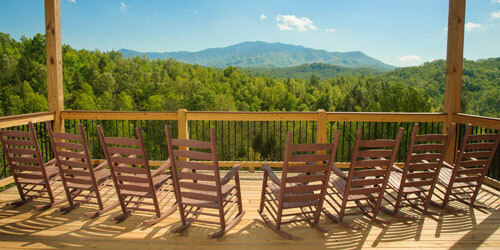 Awe-inspiring views & memorable times await you! 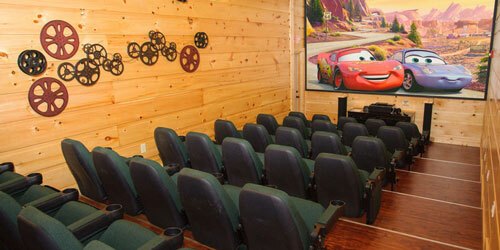 Providing the ultimate in casual elegance, fun & amenities.